Our showrooms are open to the public and you are welcome to stop in to view our displays and samples. If you would like to speak to a designer we recommend making an appointment so you receive the attention you deserve. We will work directly with you but we also enjoy opportunities to collaborate with your architect, interior designer, builder or remodeler. 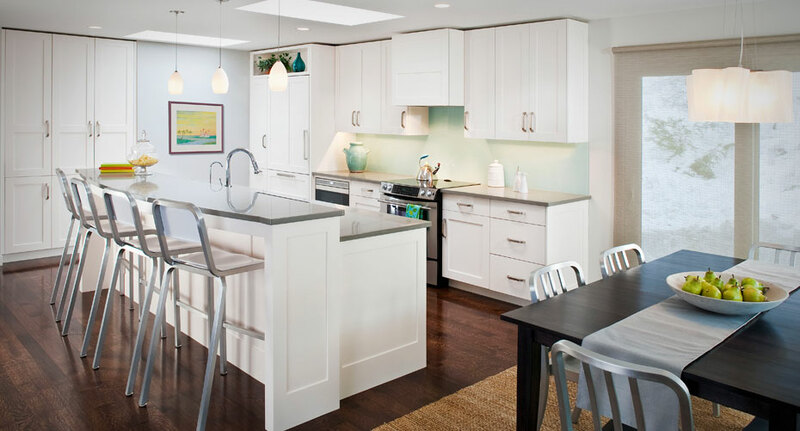 Cabinetry design, especially in kitchens and baths, is continuously changing and our professional designers are dedicated to bringing their knowledge to you and your design team. The initial consultation in our showroom or in your home is at no charge. Our goals at this meeting are to listen to you, assess your needs & wants and develop the scope of the project. Together we will determine a working relationship. After discussing various possibilities, we will measure your space so we can begin conceptual designs. Our designers will work with you and your budget to customize a design fee retainer suiting your goals. 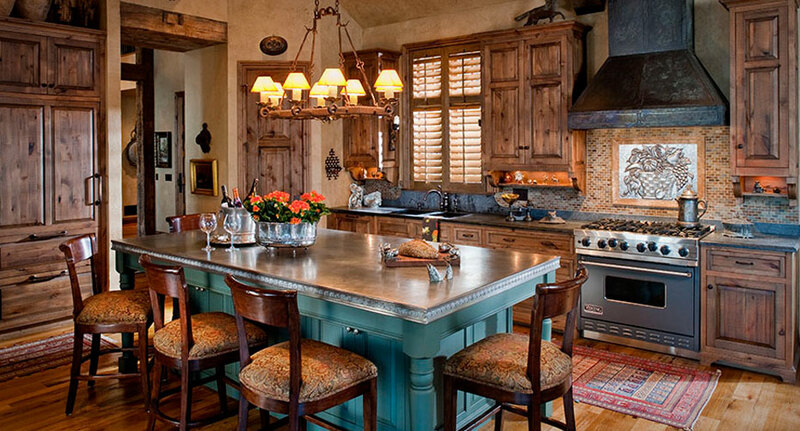 A typical design fee is hourly with a down payment to begin the design development. Depending upon your goals and budget, our designers can develop detailed floor plans, elevations, perspectives and electrical plans. Any design fee paid will be credited to a minimum cabinetry purchase. Specification consultations, such as tile, lighting, paint and fabrics, is a service provided by our talented designers at a non-refundable hourly rate. Our award winning designers enjoy working with you throughout your project, from initial design schematics to the completion of cabinetry installation. We respect your vision and ideas and we will help you develop your ideas and give you solutions to your problems and provide you with new, exciting ideas for your home. Once your design and budget is approved by you, our team of drafts people and engineers further develop the cabinetry details using CAD software. 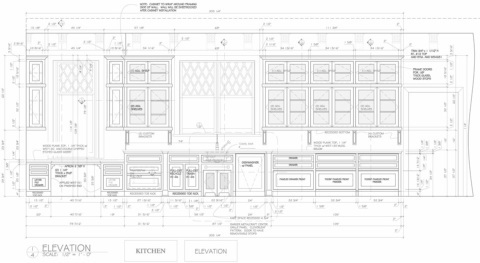 Our goal is to provide you and your team with a very clear and understandable set of drawings and specifications detailing every part of your cabinetry project. We want you to know exactly what you are receiving at the day of installation. We are also a Factory Certified Installation Company for Subzero and Wolf.